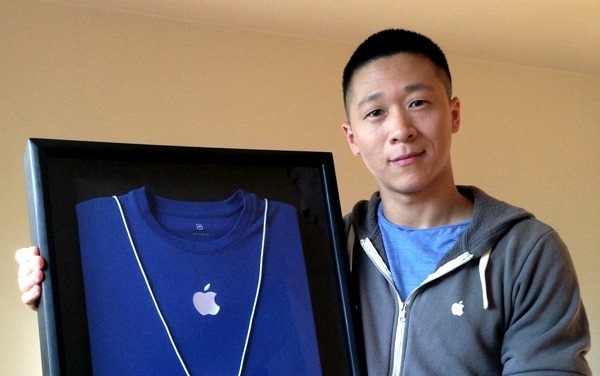 It became something of a myth that turned out to be true, but there really was a guy called Sam Sung that worked for Apple as recently as late-2013. 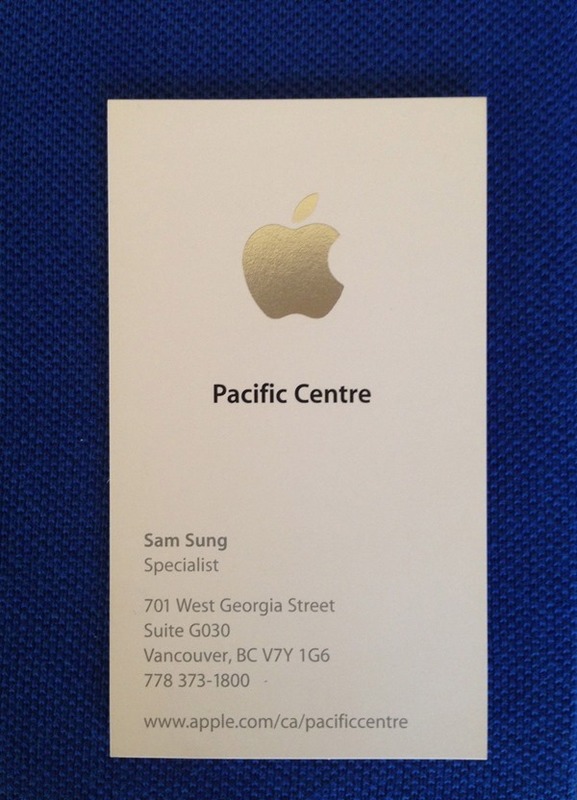 Even while both Apple and Samsung were going at it tooth and nail over patents and general hatred of each other, there was a cheery guy working as a specialist in Apple’s Pacific Centre in Vancouver, British Columbia. It was almost too good to be true. 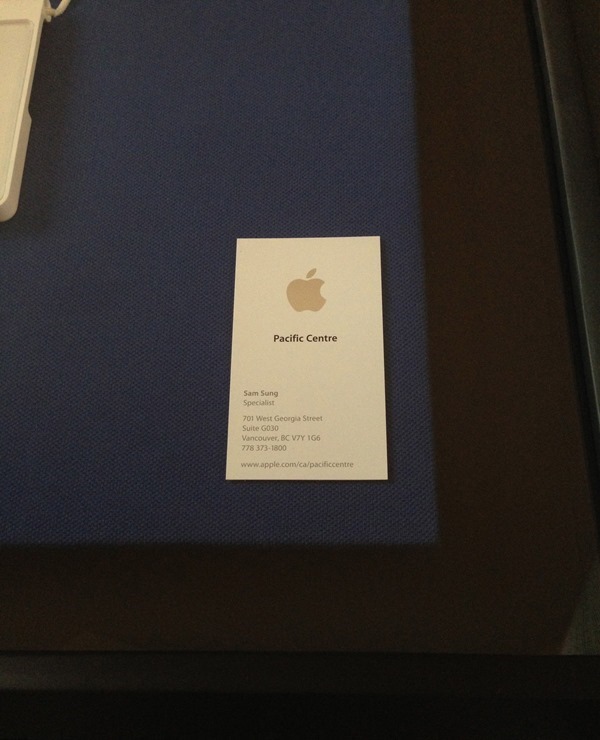 Now that Sung is no longer working for Apple though, he’s decided to put is deliciously ironic name to good use by auctioning off his last remaining Apple business card for charity. The card was apparently being used as a bookmark, and when Sam Sung discovered it by accident he decided to see whether anyone would buy it if they knew the proceeds would go to a good cause. The end result is an eBay auction. That good cause, by the way, will see all proceeds that are left after paying eBay fees go to Children’s Wish, BC & Yukon which is apparently a charity that grants wishes to ill children. Sounds like a very good cause to us! The auction is currently set to end on the evening of August 15th and at the time of writing this is sat with a highest bid of just over $1,259. To say that’s awesome is without doubt an understatement. 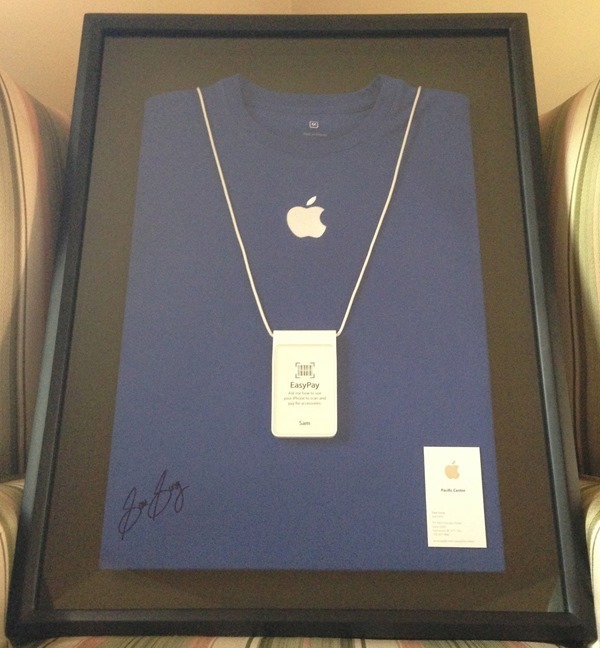 If you do fancy a bid, then you’ll also receive a framed T-shirt and lanyard to go along with the card but most importantly, you’ll have a nice warm feeling that your money has gone to a deserving cause. And that’s more important than any business card, no matter how awesome it is. Apple and Samsung (the company) have been dragging each other in courts for a good few years now, and it was a while back when we found out that both tech giants have dropped their patent disputes outside the U.S., which in itself is big news. It would be interesting to see how Apple tackles Samsung in its home ground, and where both companies go from here. Still, these are signs of positive things to come. Either that, or Apple is frying a fish in a pan bigger than we’ve ever seen in our lives. Loving the new Redmond pie! !